GEICO complaints number & email. I was denied coverage by false statement of a agent that malicious put a remark that I was gone, let other people drive my car without being on the policy. I requested proof of such story but they never send me the record call. I had to file a claim for an accident that wasn't my fault, but there weren't any witnesses. Geico has amazing customer service and followed up with me throughout the whole process. After I paid my deductible, they took care of the rest. I keep thinking of changing insurance companies to see if I can find a cheaper one, but I think I would rather pay a bit more for great customer service with Geico. On 03/12/19 I called to update my address as well as my mileage commute. I MOVED and was not aware just for moving my insurance would go up by $100.00 when i just finally got it down in the 6 months i had geico. Furthermore , angela the representative was very misleading with her information and very dismissive to my questions. She spoke over me the entire conversation and i felt she was not trying to help me at all with my concerns. I also asked her to rate me on a quote for my boyfriend to possibly add him to my insurance opposed to him going on by himself and she added him anyway without my consent raising my policy almost 200.00. Her supervisor Jordan locked me out of my account and in her codes made the changes permanently. When i asked Jordan to speak to a manager above her she hung up on me and told me she wont put anyone else on the phone. Both of them proceeded to remain in my account against my will and invaded my privacy as well as making changes to my account i never allowed. Get verified information about GEICO complaints email & Phone number. GEICO provides full complaints handling accessible initially by telephone on 1-800-861-8380. If your complaint cannot be resolved at this stage, a series of steps to take and other contact options are available. You should call GEICO complaints line in the first instance on 1-800-861-8380. If this does not resolve matters, then further steps can be taken. Further information is on the website along with details of alternative contact options such as contact form, email and visiting your local branch. The Government Employees Insurance Company (GEICO) is an American auto insurance company. It is the second largest auto insurer in the United States, after State Farm. 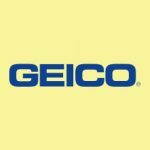 GEICO writes private passenger automobile insurance in all 50 U.S. states and the District of Columbia. Hopefully, We helped you to get some genuine records for GEICO Complaint information. Use below complaint form to discuss problems you have had with GEICO, or how they have handled your complaints. Initial complaints should be directed to GEICO directly. You can find complaint contact details for GEICO above.